Another winner from Nourishing Camie’s friend and follower Deirdre! In a saucepan over medium heat, to the hot salad oil, add the chopped onion and celery. Cook about 10 minutes, stirring occasionally with a slotted spoon. To the bread and onion mixture add the lean ground beef, shredded carrot, salt, pepper, egg, and one half of the can of tomato sauce. Stir thoroughly to mix. In a 12×8 inch baking dish, with hands, shape ground beef mixture into 8×4 inch loaf; set aside. In cup with spoon, combine the light brown sugar, cider vinegar, prepared mustard and remaining tomato sauce. 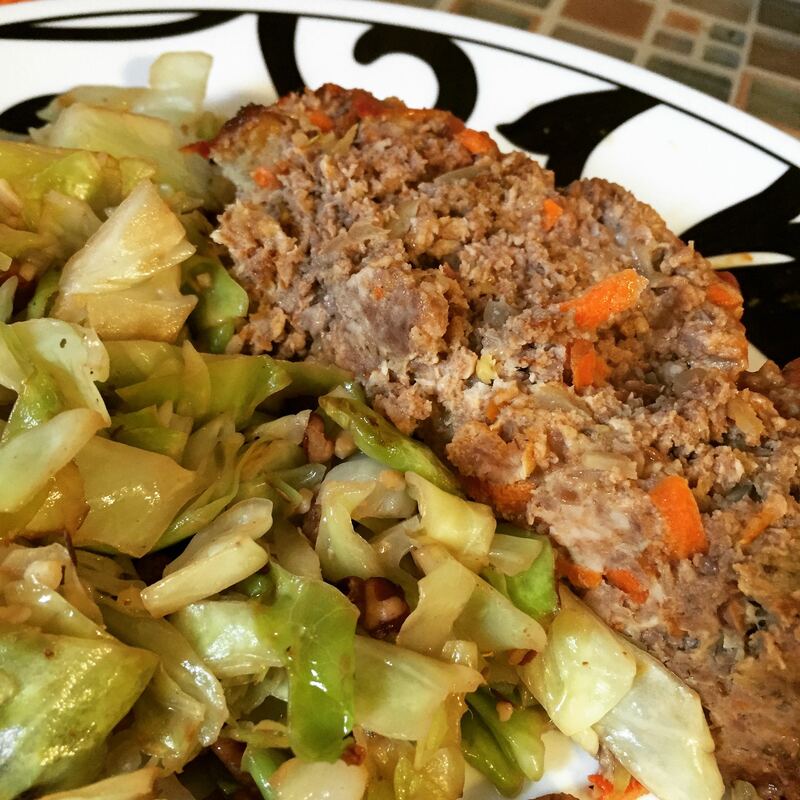 Spoon sauce over meat loaf in baking dish. Bake in 350° oven for 1½ hours. Serve meat loaf warm; or cover and refrigerate to serve cold.